Don’t miss The Stay Proud Project. 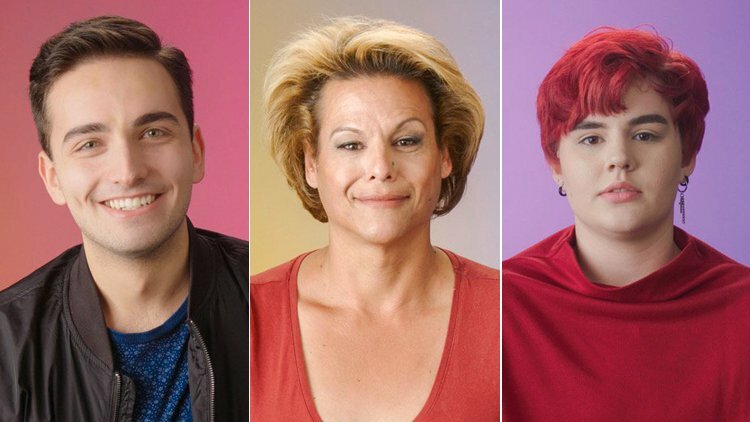 After reading an op-ed earlier this year in Attitude that suggested young queer people shouldn’t be obligated to learn about their history, LA-based director Andy Putschoegl set out to create a series of Pride-related videos called The Stay Proud Project. Working with his friend Sam Harris, they interviewed 80 LGBTQ+ people of all ages to educate and discuss everything including Pride, coming out, intersectionality, faith, the AIDS Crisis, marriage equality, and more. "We wanted to create a series that both educates younger LGBTQ+ people about where we came from, while demonstrating to the elders in our community that their legacies are in good hands. Most of us don’t have LGBTQ+ parents to pass down our history, and rarely are we taught about it in school. If it is taught in school, it’s a footnote. We learn a paragraph about Stonewall or Harvey Milk and then on to the next subject. It’s up to all of us who have life experience as LGBTQ+ people to share our stories. We’ve learned that there are many young queer people who truly do care about where we came from and who understand the importance of continuing the fight for equality." Watch the first two videos on Pride and coming out below.